The High Street in Stevenage Old Town is certainly evolving, with a host of new eateries popping up. 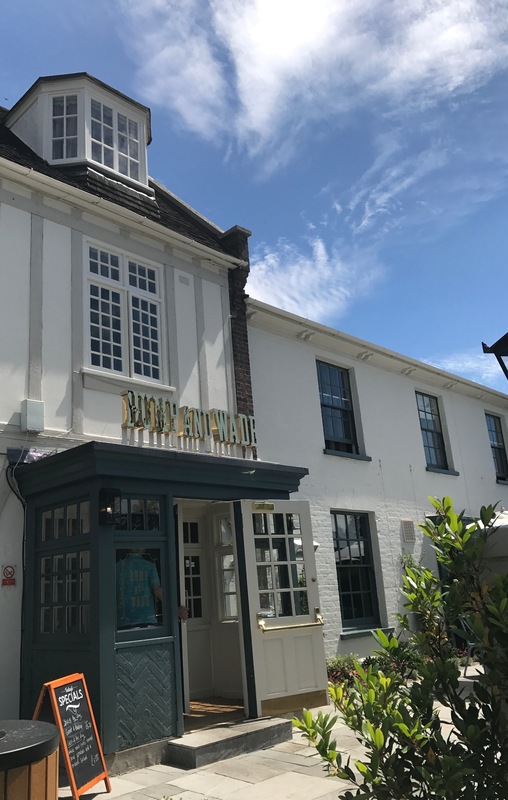 The Cromwell Hotel on the High Street has recently launched its new brasserie, Rump and Wade, and we stopped by for a family brunch to check it out. It was a beautiful sunny day when we visited. Although we arrived at midday, just as Rump and Wade opened, there were already a few people sitting on the tables outside enjoying the weather. Inside, the brasserie is pretty spacious, with old worldly decor. There’s a mixture of tables and booths, and highchairs are available if you need them. There’s a well-stocked bar at the far end and plenty of toilets down a corridor on the left-hand side, including baby change facilities. The staff were attentive and shared the daily specials. There was plenty to choose from on the menu. We were only in for a quick bite, but the food and drinks were good (I had Eggs Royale) and fairly reasonably priced. There is a kids menu with plenty to choose from. Our son, however, is a very ‘selective’ eater, so we brought our own sandwiches to avoid drama! Little ones that eat a normal range of foods would definitely find something they liked! It was pretty quiet on our visit as we were sitting inside on a lovely day, but I expect it can get quite buzzy in the evenings, especially when the cocktails come out! You can visit Rump and Wade’s website here. Have you visited Rump and Wade? Did you enjoy it? What is it like for dinner and drinks in the evening? Please share your comments below. Thank you! If you like Stevenage Old Town, please also check out my reviews of Sala Thong Thai and Creams Cafe.